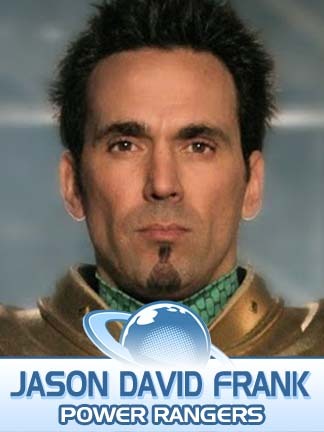 I was beyond excited to see that Jason David Frank will be at Planet Comicon 2016! 2 Missouri cons in the same year? Its a Team JDF Ambassador's dream come true! Here is the bio they put on there site! Click the pictures for more info! Jason David Frank is well-known for his role of Tommy Oliver in the long-running television show Power Rangers. His character has morphed into the most different power rangers in the show’s twenty year history. He first morphed on the scene as the Mighty Morphin Green Ranger, a bad boy turned good, who after only ten episodes was intended to be written out of the show. However, due to his popularity, Jason David Frank’s character was able to morph into the Mighty Morphin White Ranger, Red Zeo, Red Turbo and then returned in 2004 as the Black DinoThunder Ranger. His martial arts is not an act, Jason Frank, an inductee of the World Karate Union Hall of Fame, is a highly accomplished and respected martial artist with 34 years experience. In 1994, he created his own martial arts system, “Toso Kune Do,” which means “Way of the Fighting Fist” and incorporates many different aspects of martial arts. Jason David Frank currently holds a seventh degree black belt in American Karate, a purple belt in Brazilian Jiu Jitsu, and in February 2013, he received the title of Master of Muay Thai by the world-renowned Muay Thai trainer Grand Master Toddy (Arjan). He is the owner and operator of Rising Sun Karate and MMA, with three schools in Texas and one in California. Actor and martial artists are not his only roles, Jason David Frank is also an entrepreneur, MMA fighter, and world record holder. He is the founder and CEO of Jesus Didn’t Tap, the first Christian-based line of MMA Clothing and fight gear. It was one of the first apparel company to recognize and celebrate the faith and commitment of MMA fighters. Since its inception, Jesus Didn’t Tap has broaden its name in the MMA world and has been the sponsor to many MMA fighters. In January 2013, Jason David Frank became the Guinness World Record Holder for most 1‐inch pine board broken during freefall. He, who was introduced to skydiving during Power Rangers, shattered the previous record with seven broken pine boards. With his recent achievements in 2013, Jason Frank has begun to document his momentous endeavors in a reality series, “My Morphin Life.” The first season episodes include his world record achievement, receiving his prestigious Arjarn title in Muay Thai, his return to Power Rangers as the Legendary Power Ranger, his momentous convention touring, and more. The reality show’s first season has already been launched via the Bat in The Sun Youtube Channel and currently has more than a million views. Season two of My Morphin Life has finished filming and is already in negotiations to air in a major network. This is not the first time Jason David Frank works with Bat in the Sun in November 2013, the two worked on the White Ranger vs. Scorpion Super Power Beat Down, a show that pins super hero against super hero. The highly popular episode has been viewed over five million times and goes down in the show’s history as the most voted battle. With so many successful collaborations, Jason David Frank and Bat in the Sun are working together on an action packed movie, which he will star in as the hero. Ever so faithful to his beginning roots of portraying a superhero, Jason David Frank is currently working on bringing a Green Ranger series to life, which will again bring him to his original ranger, who has become the most popular ranger in Power Ranger history due to Jason David Frank’s strong presence in social media. He currently has half a million Facebook followers and counting and with more than five million people view his page per week. Jason Frank’s constant interaction with his fans, free giveaways, contests, and more have made him excel above the rest as the Floyd Mayweather of social media. This popularity has also opened other ventures, like a possible involvement in the Power Rangers reboot movies, recently announced by Saban Entertainment and Lionsgate Films. Lionsgate Films is responsible for extremely successful movies such as the Twilight Saga, The Hunger Games, Dogma, American Psycho and Fahrenheit 9/11. Always someone of great passion and determination, it is safe to say that we can expect much more from Jason Frank in the years to come.